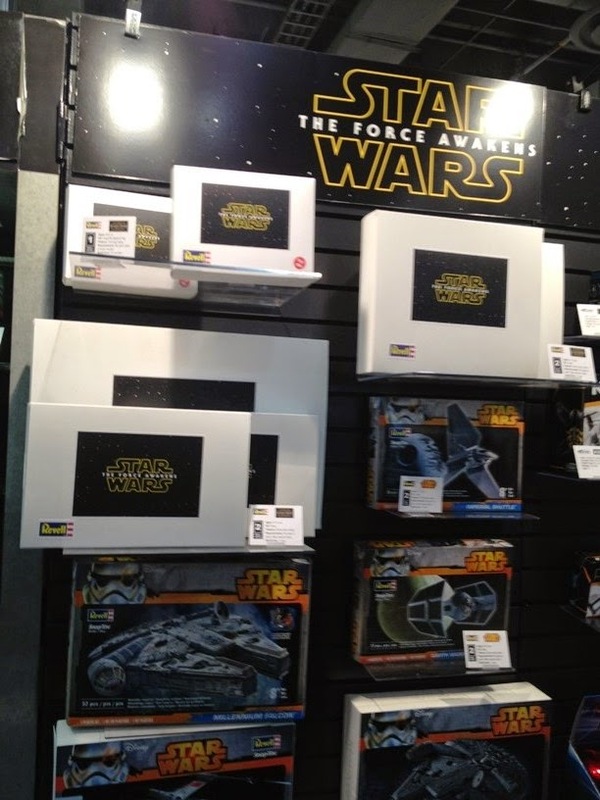 theswca blog: Toy Fair 2015: Get Ready for Revell! We are happy to welcome back guest blogger Yehuda Kleinman, who recently paid a visit to Toy Fair in New York and is here to bring you the scoop. Star Wars and New York City's annual Toy Fair event share a long and fabled history going back to the earliest days of the franchise's mythos. 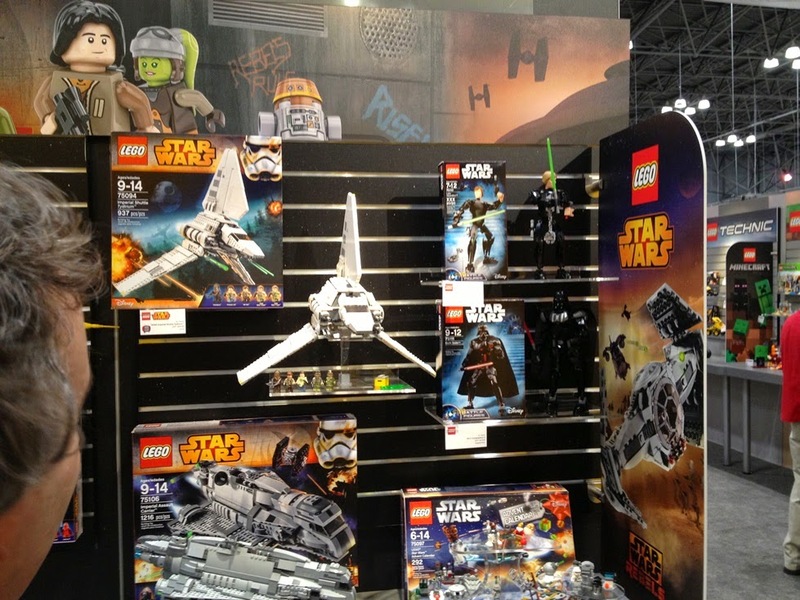 The main purpose of Toy Fair has always been to afford toy manufacturers the opportunity to introduce their new lines to perspective vendors and the press. Toy Fair has seen the introduction of nearly every Star Wars toy ever produced including legendary toys like the ultimately un-produced rocket-firing Boba Fett all the way to the new Star Wars Rebels cartoon lines. 2015 is of course a special year for Star Wars and its loyal followers both old and new with the year-end release of Star Wars Episode VII: The Force Awakens. The announcement of any new Star Wars film always brings added excitement and curiosity to Toy Fair. Often the first glimpses of new characters and future iconic toys happen at events like this, and this year will bring many new characters and for the first time in over 30 years the return of the original cast! Even though the new steward of the franchise, Disney, had remained tight lipped about details of the upcoming film until this point, this was New York Toy Fair and this could be the venue where Disney decided to let some information leak. As I entered Toy Fair, it became immediately clear that Disney wasn't going to give up any secrets willingly yet. The only information that toy licensees were allowed to publicly show for the upcoming film where the logo and the new title The Force Awakens to show that they had obtained a license to produce merchandise for the film. Still, there were four days and hundreds of vendors to cover and plenty of Star Wars to see (or not to see) and a lot of fun work to be done. Although I knew I would cover the entire show, there were certain companies that would require a more in depth look because of their Star Wars focus. The more obvious toymakers in this group were Hasbro and LEGO, so I started there. Both toymakers focused on expansions of existing Star Wars lines without a creating any buzz about the upcoming new films, other than a sign or a wink that everything everyone expects is coming. Of note were two nods to vintage at the Hasbro event. The expansion of the 3 3/4" action figure line for the Rebels series included the new "Imperial Troop Transport." At first I thought the displayed model was an interesting mock up piece for the later to be fleshed out production toy. I was disappointed to find out the display featured the final production toy. The new version is a cheaper, smaller version of the original. It also unfortunately lacked the original toy's quirky charm and features. Gone were the push buttons with original movie quotes and sounds, no more "immobilization hoods" or anterior compartments and, well, no more wheels… rendering the new toy into a functionless gray brick. The second nod to vintage was really more of a nod to vintage Furby toys. The new soon to be released toy dubbed "Furbacca" ( I kid you not) appears to be the love child of a long forgotten evening between a young amorous Chewbacca and an unsuspecting Furby. The new brown-furred, bandoliered crooner hums John Williams tunes while being somewhat interactive, albeit aloof (his hah-hah sounds more like heh-heh). I must admit the furry thing made me smile more than once, but it reeked of "vintagesploitation." I was surprised it didn't also transform into Optimus Prime. Still in the search for that old magic that Star Wars toy production and marketing had shown in the past, I continued on to the other vendors on my list. Model building was a big part of Boys Toys culture in the 1960s and 1970s and when Star Wars was released, the franchise had risen to the challenge, releasing wave after wave of ship and character models which were very well received and enjoyed by a hungry market at the time. I can fondly remember building a model X-Wing as a child and pretending I was one of prop creators at Lucasfilm. In the decades to follow, model building has seen a significant decline in interest and sales. The cause of this has been multifactorial. With the advent of video games and ultimately the Internet, skilled play had switched from the physical world to the virtual world. In addition, instead of model building companies trying new innovative ways to draw in consumers, they further marginalized themselves by increasing the required builders skill level on their sets, thereby marketing themselves to an ever decreasing crowd of super model building enthusiasts. The two companies who are currently producing Star Wars models were reviewed with focus on how they have risen to meet these challenges and reinvigorate the model building market. First were the Star Wars “Metal Earth” models from Fascinations. This is a company that has impressed me over the last few years. For any who is unfamiliar with this small but popular line, the company makes realistic highly detailed laser cut metal model kits for Star Wars ships and droids. The models are beautiful once completed and are fun to build. They do however have a limited market due to their delicate nature and the manual dexterity required to build the models, once again appealing to a very limited market. They did proudly display a handsome sign for the new Star Wars film but nothing to add beyond their already released models. Next I was to head over to Revell, the premiere and the largest model building company in the world. Along with Estes Rockets of vintage Star Wars rocket fame, they comprise the parent company Hobbico. As I approached the Revell booth I saw a big banner with the Star Wars logo with the new movie title featured. 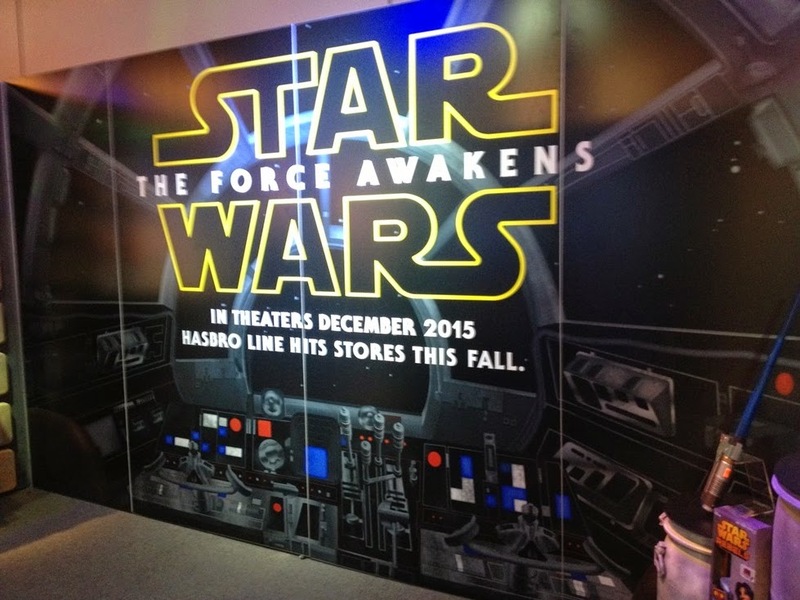 It also appeared they were featuring upcoming products for Episode VII! 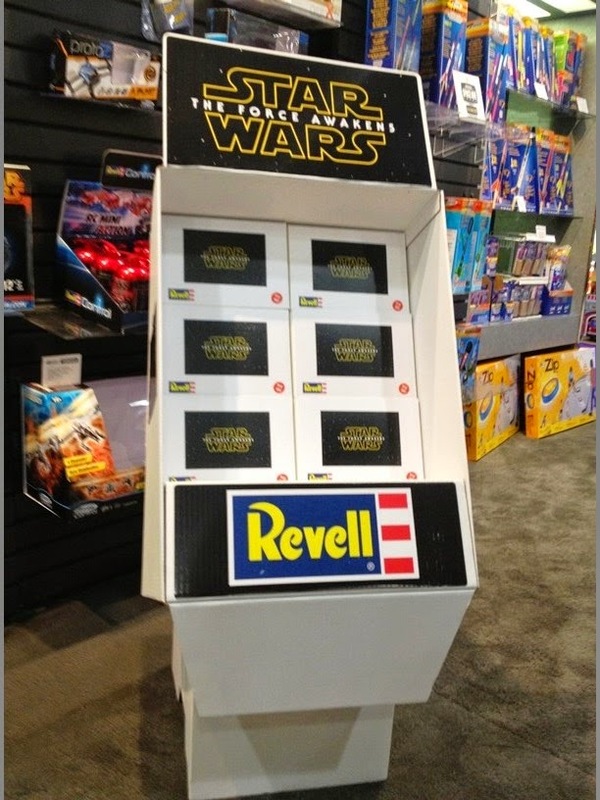 Much to my surprise, Revell was the only vendor who had set up a mock-up store display filled with mock-up model set boxes for The Force Awakens. I was impressed with the sales team's ingenuity. The display and boxes were simple white cardboard made to the exact dimensions of their upcoming new products. Each mock-up had an attractive centered sticker with the words Star Wars: The Force Awakens. The smallest boxes placed in the store display by the front of the booth also had additional text in a red circle which read "try me!" beckoning Toy Fair-goers to take a closer look. Of course the boxes were empty, but that didn't make the display any less interesting. Once inside, I interviewed a very responsive and impassioned team who outlined Revell's plan to restore model making to its proper place for all ages of Star Wars fans of all skill levels! 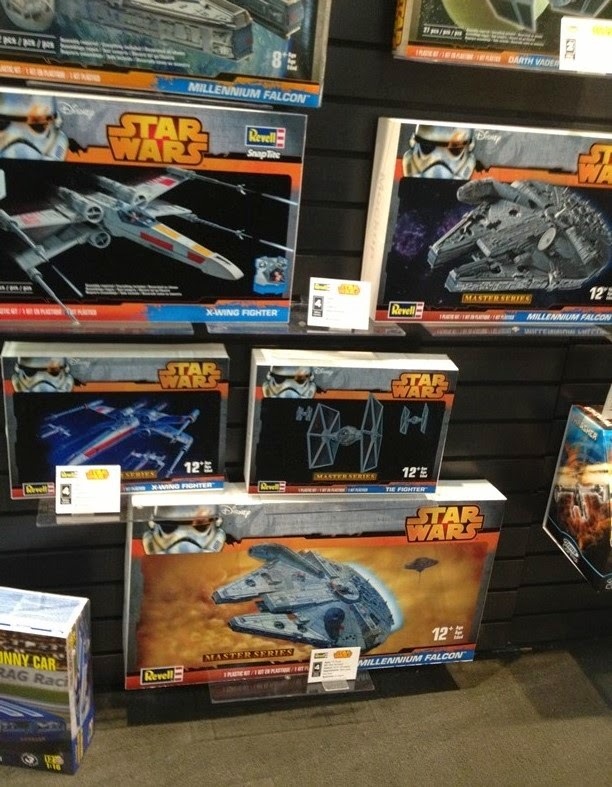 The different size model boxes were meant to represent the new sets for The Force Awakens, which will have 5 different skill levels with varying features and complexity. Level One sets will be made of a durable plastic with snap tight pieces and will be very easy to build. These sets will not require any gluing or painting and are geared toward the preliminary younger model maker. They'll also feature lights and movie sounds. They will be the first model sets ever to have these features. These designs were incorporated into the sets to make them fully functional toys once they have been built so they will appeal to the youngest fans. Complexity continues to increase with skill level. As levels increase the models become far more delicate and detailed. They begin to require glue, paint, and the placement of decals. Character figures are also added at higher levels with the biggest and most complex models having up to 7 figures. The team also pointed out that their line of models also appeals to parents and children who are inter-generational fans and are looking for activities to participate in together. As I left the Revell booth I knew I had found a company who really got it. 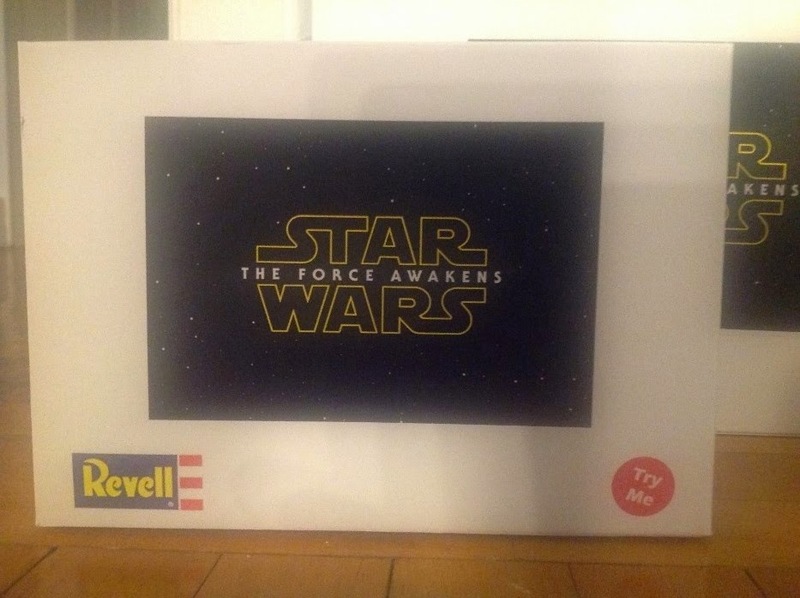 I also got a smile every time I overheard other Toy Fair attendees mumbling about Revell's "empty box" campaign. It just sounded so familiar -- sort of like Kenner's “Early Bird” empty box mailer that started the whole thing back in 1977. Three smaller companies deserve an honorable mention for also getting it right. Quantum Mechanix Inc. produces screen accurate miniatures. They have a recently released line of handsome collectible Star Wars key chains which are durable and scale accurate detailed models of classic ships from the Original Trilogy made out of a pewter type metal. They will also be releasing a new line for the upcoming film. 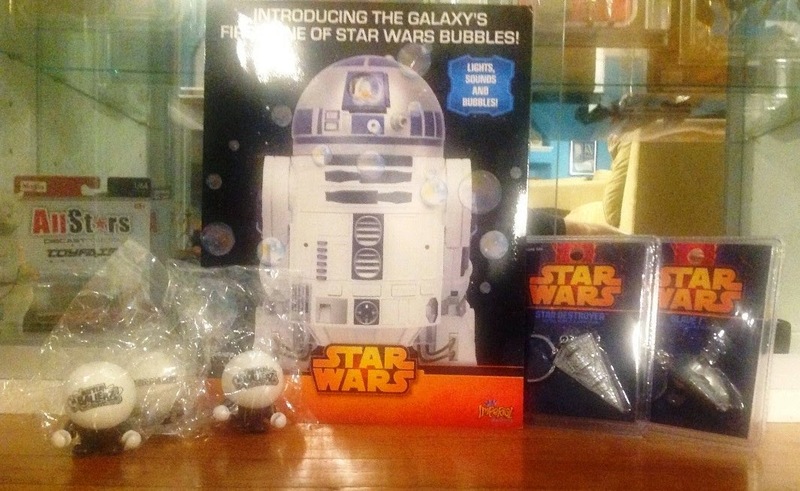 Imperial Toy will be putting out a line of bubble making toys including a must have interactive larger scale R2-D2 which mischievously sprays people with streams of bubbles as he lights up and blabbers on. It's a natural centerpiece for kids summer parties. Yomega is another company that is designing unique new products which have a kitsch factor that makes them fun for kids of 2015 but could have just as easily been released in 1979. They include a line of yo-yo's with unique display stands featuring main characters from the films. They are designed in bright primary colors and the graphics have a retro feel. They are also releasing a new line of small figures with removable heads that are super-balls called "Battle Ballerz." These will include a line of Star Wars characters which also appear simultaneously fresh and retro (they also bounce crazy high!). I'm looking forward to see what the rest of 2015 brings as new secrets become revealed!